Notes By Nina: Happy.. 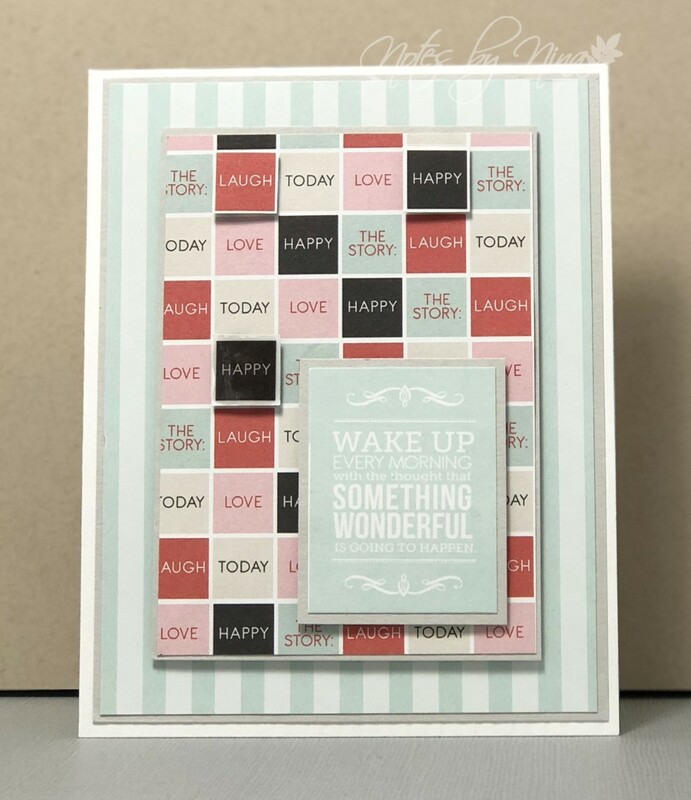 Laugh..
For this card, I layered the designer paper with light grey cardstock and then I fussy cut some of the small tiles. I popped a few of the tiles with foam tape and covered them with Nuvo Crystal drops. The sentiment panel is popped up with foam tape. Supplies: White and grey cardstock, Designer Paper - Teresa Collins. What a neat idea ...you are so talented and creative...I need lessons. Thanks for sharing that idea and layout. Hey, love that bumping up of the certain squares :). Coolest sentiment ever. What an eye-popping card.